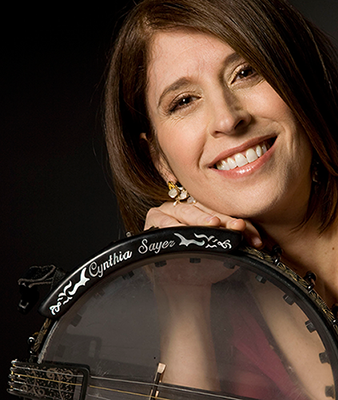 The banjo is an indigenous American instrument. It was once commonplace for white women to play banjo as parlor entertainment for their guests. 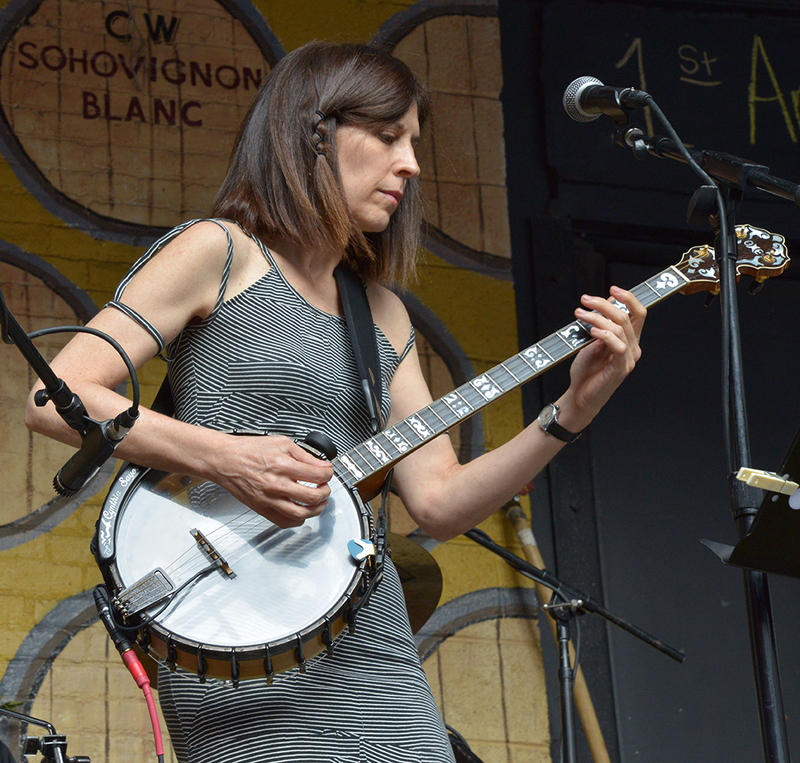 My main banjo is an Ome Juggernaut Standard Jazz model, with engraved black chrome, made from curly maple. 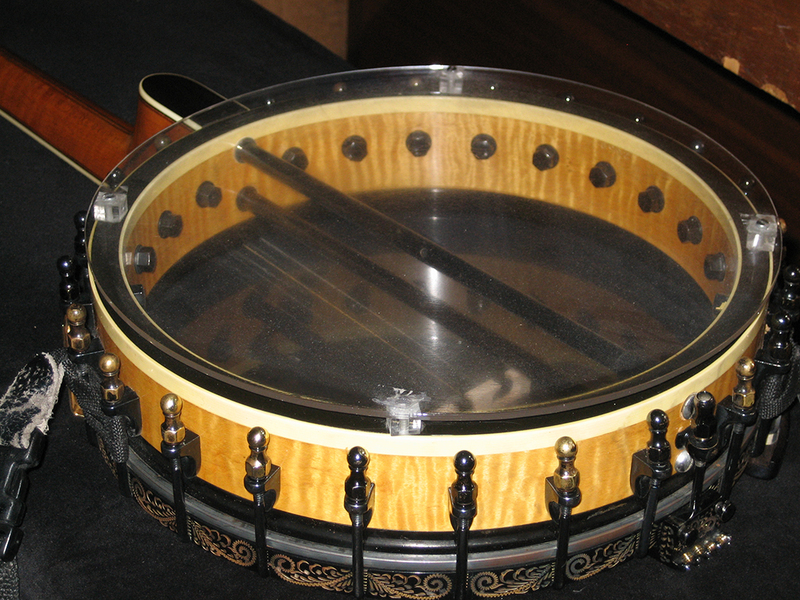 It is a 4-string plectrum banjo (a different creature from a 5-string or tenor banjo). The beautiful armrest on my banjo was made for me in Germany by Norbert Pietsch. I also have another Ome Juggernaut Standard Jazz plectrum, made from mahogany. It came with nickel plating, but I added gold hooks and a gold armrest so now it has a nice two-tone look. 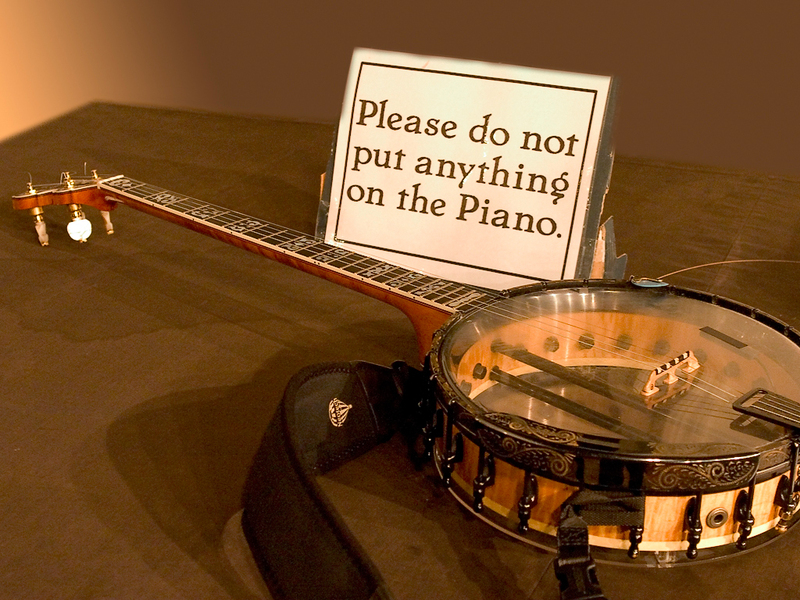 Though my banjos look like open back models, they’re not -- each has a clear plexiglass resonator. They originally had wood resonators and metal flanges, which I removed to make them a bit lighter and smaller, a better fit for me. 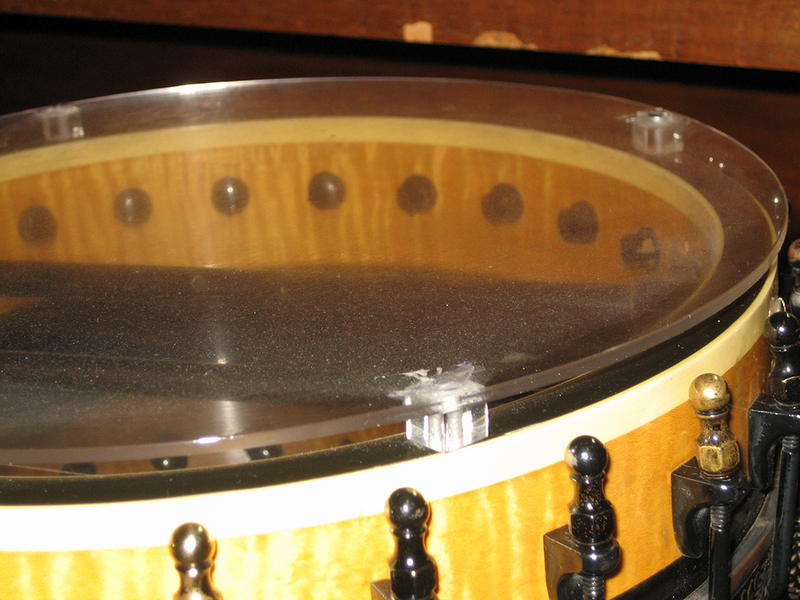 The plexiglass resonator sits on 4 small plexiglass legs that keep it about ½” from the rim. I use ball-end strings because I find them faster to change than loop-ends if I break one while performing. My banjo tailpiece accepts both ball-end and loop-end strings, as is common. My gages are: .012, .015, .020w, .028w. w = wound. I prefer to order bunches of strings by the gages, not by the pack, since I don’t use them up evenly. I use Blue Chip picks, the TD 40 with a “speed bevel.” I think they are fabulous. I used to use Tortex 1mm picks (the blue ones) – also good. I finally found a pickup that has the natural acoustic sound and response that I want – The Realist by David Gage. This is the best banjo pickup I have ever heard on my banjo. I’m not saying this because they asked me to endorse … I would use it no matter what.